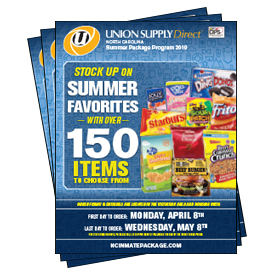 Family and friends can order a Summer package for their loved ones incarcerated in the North Carolina Department of Public Safety - Division of Adult Correction. The items presented on the shopping pages are pre-approved so you can shop with the assurance that everything we make available is approved. Please see the Rules & Regulations section for more information on Summer Packages. For inmates who are placed on control status HCON, MCON, ICON, or Safekeeper prior to the shipping of a package, Union Supply Direct will cancel the order and issue a refund to the customer who purchased the items, minus a $3.00 restocking fee. The items offered in this program have been authorized by the North Carolina Division of Prisons, Chaplaincy Services Department. Inmates, Chaplains family and friends may order directly with Union Supply Direct where institutional policy allows. All orders must be pre-approved by the Chaplain at the institution before the order is placed. For mail orders, please use the provided order forms in the center of this catalog. 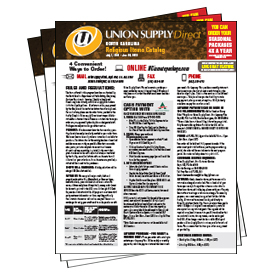 Union supply Direct is not responsible for refused/unauthorized items. Please ensure that the items you order are pre-approved by the chaplain or designated staff. To begin shopping, enter the inmate’s NC Department of Corrections ID#.